Build a winning sales strategy and prepare for your own Super Bowl with these 6 competitive intelligence tips from Sales Solutions. Following the AFC and NFC championship games, each team gets a short, two weeks to study up on their opponent. The Super Bowl contenders meticulously study tape, create game plans and look to capitalize on their opponent’s weaknesses. While good sales pros don’t need to dissect a read-option, they do evaluate competition year-round – establishing a sales strategy that can be used whenever the next big game arrives. How many times have you heard a coach or player say they’ll “review the tape” after a game? Competitor research is vital for any successful sales pro and you need to know them better than you know yourself. Gather intelligence data from tradeshow demos, product documentations, company messages boards/social networks and their websites. Understand their approach and you can begin to construct a stout defense. This is where the company interacts directly with its followers – and where you can gain a little undercover reconnaissance. Imagine rival team scouts covertly studying the opponent’s star running back during practice – they’ll be able to gauge effectiveness in the player’s home environment. Gain access to additional information such as: recommendations, active followers, past/current employees, available positions and contact points for product reviews. Doing so is like gaining access to the competitor’s locker room. You can dive in and see their approach, how active they are within the group, which followers are engaging and what topics seem to resonate. Tom Brady and Peyton Manning have been known to talk on the phone during the season to brief each other on teams they are each preparing to play (just not when they are preparing to play each other). There are no rules saying you can’t be friends with people working for the competitor. In fact, you likely see each other at the same events -- so why not make a connection? While there is some information that’s off-limits, there’s always much to be learned in even the most basic of small-talk. In addition, don’t forget to connect or follow individuals within your competitor’s organizations as well. You need to be aware of any new changes, products or services that the competition rolls out – and in most cases this information will be highlighted on the company blog. This is your opponent’s playbook, so study it daily to place yourself in position for an effective response. They are your fans – or soon to be fans - after all. They may not wear body paint to meetings, but they are in your corner. Ask them what other products/services they are considering and why. Then, alter your strategy to hit these points head-on and ensure them you are indeed going to help them reach the end zone. Note that few of these approaches are reactive. There is little room in sales for a prevent defense. Building a strong sales game plan requires extensive competitor research and through company sites and social networks, there are plenty of opportunities to stay informed. Want more to ramp up your offense? 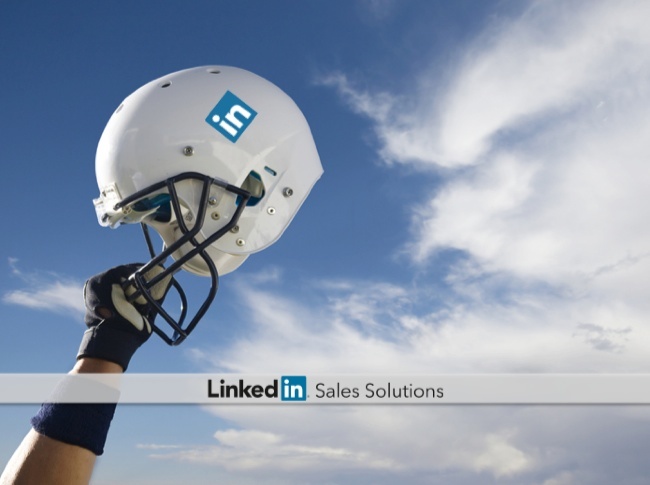 Learn how Social Selling can drive revenue today.